WIKI: 24 Hour Psycho is a film made and produced by the British artist Douglas Gordon in 1993. The film consists entirely of Alfred Hitchcock's 1960 Psycho slowed down to approximately two frames a second, rather than the usual 24. As a result it lasts for exactly 24 hours, rather than the original 109 minutes. 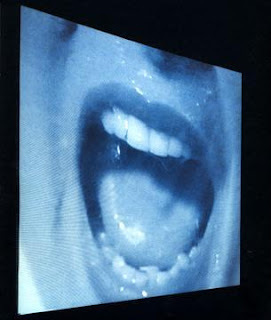 The film was an important work in Gordon's early career, and is said to introduce themes common to his work, such as "recognition and repetition, time and memory, complicity and duplicity, authorship and authenticity, darkness and light." Gordon would show the film to interested viewers in his own bedroom.